I hope everyone is well and getting back into the swing of things. 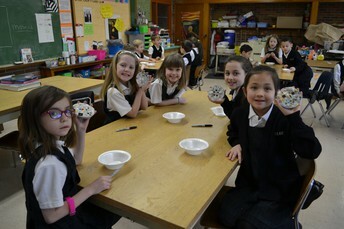 There are so many positive, peaceful, and productive things happening at Our Lady of Good Counsel School everyday! 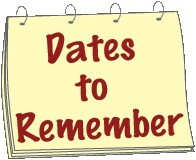 January is an very busy month with many exciting things happening! Our TV Production Studio will officially open and be unveiled tomorrow at 9:00 with a Blessing by Father Suskey. The first broadcast by our Film Club will be on Monday, 1/22. Every broadcast will be shared on the school website. 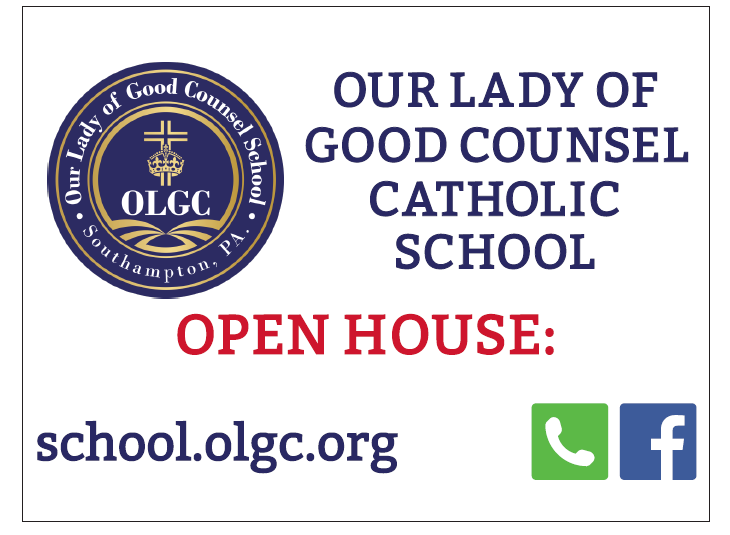 Please feel free to stop in at our Open House during Catholic Schools Week and take a tour of this new addition! Students in Grades 5-8 and teachers in Grades 2-8 will be given a Social Media Presentation at 10:30 tomorrow morning. 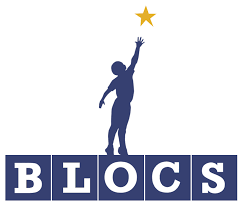 Mr. Matthew Reiman, the Instructional Technology Specialist from the Bucks County Intermediate Unit, will be at school sharing a very powerful presentation titled "Your Digital Tatoo." This presentation will be posted on the school website. I encourage all of our families to have a discussion with your children about this very important topic. Our Eagles Pep Rally will be held tomorrow at 1:45. This is also a benefit for the Eagles Eye Mobile which delivers free vision screenings to uninsured students in the Greater Philadelphia area. We are asking for a $2 donation for this "Dress Down in Eagles Green Day." The Bucks County Courier Times will be at school for this exciting event! 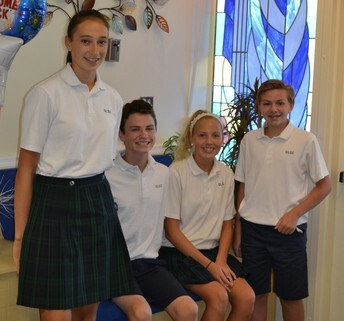 Please continue to spread the word that Our Lady of Good Counsel School has been nominated for "Best in Bucks!" 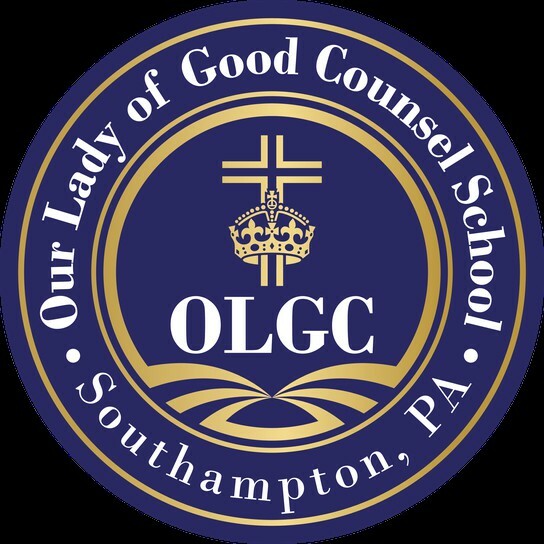 Please encourage your friends and family to cast their vote for OLGC! 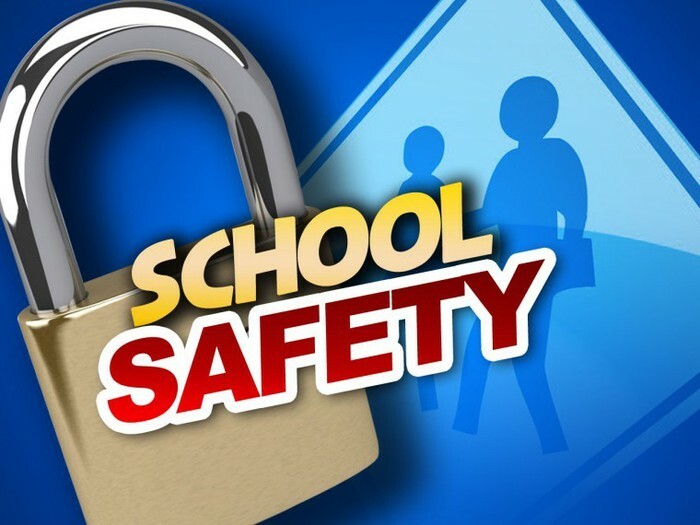 The link can be found on our school website and facebook page. As of today, we are in first place! 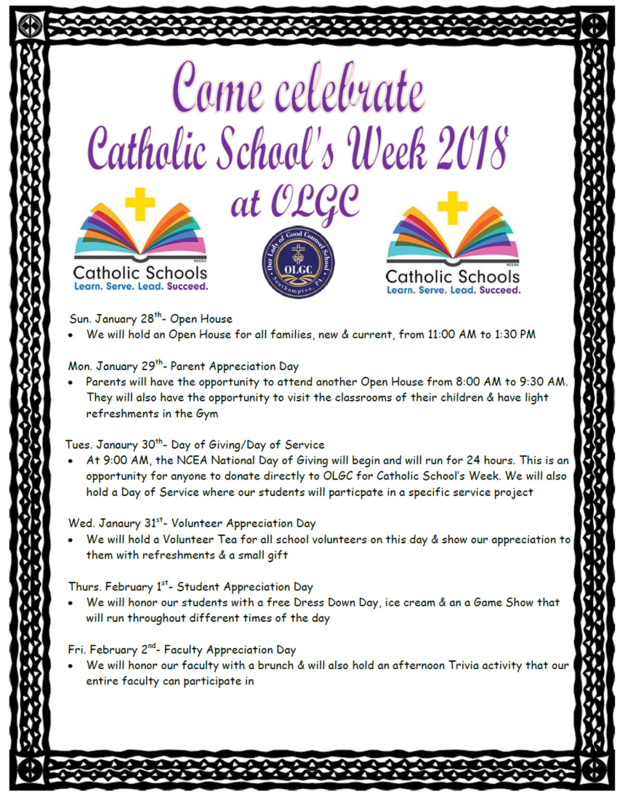 Please note the schedule for Catholic Schools Week below. There are many exciting events planned for the entire week. 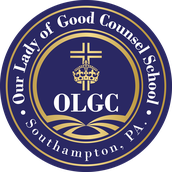 Among those are the OLGC Day of Giving. The link has been listed below and will be posted on the school website. 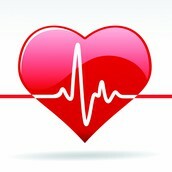 This is a 24 hour period of giving to our school to help support the advancement of our mission. Our goal for this day is $20,000. Funds raised will be to support the renovation of our Media Center into a new Digital Learning Commons. 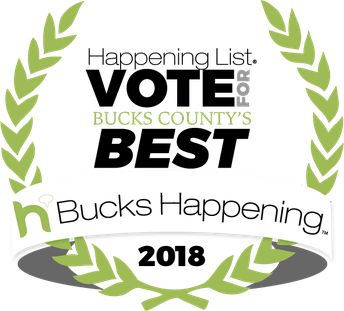 Vote OLGC "Best of Bucks" 2018! 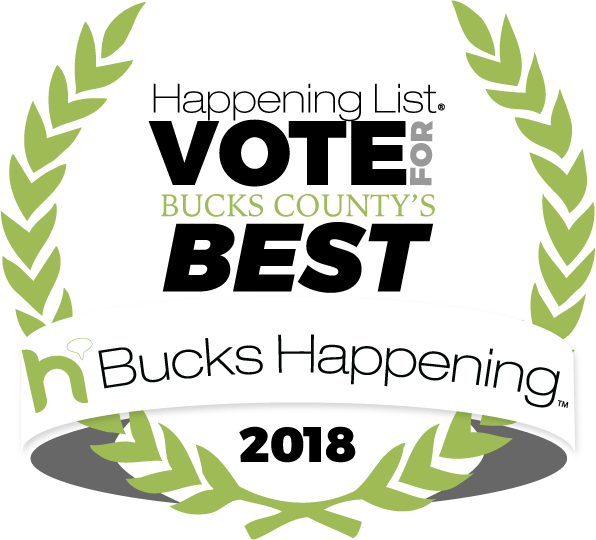 OLGC is extremely excited to announce that we have been nominated for the 2018 Bucks Happening's "Best of Bucks" List! Voting is NOW OPEN & will end at midnight on Wednesday, February 28th, 2018. The elementary school with the most votes will be named the winner! 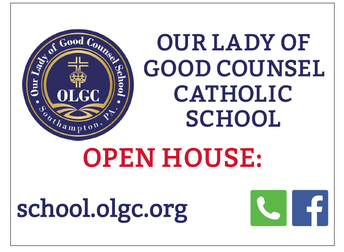 Please share this with everyone you know & continue to vote for OLGC by using different emails! We will post voting reminders to Facebook every day until voting ends. We appreciate any & all support! Here is what our Lawn Signs will look like when our school families come to sign them out! Please stop into school to pick up one or a few! 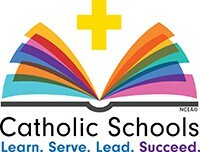 Many Gifts, One Nation: A Day of Giving to Catholic Schools will take place from 9:00 AM on Tuesday, January 30th through 9:00 AM on Wednesday, January 31st. 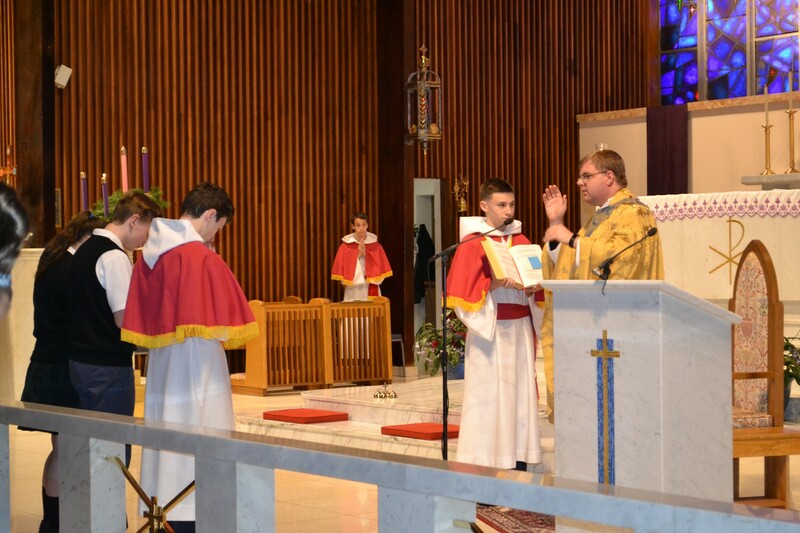 The National Day of Giving is a new opportunity to partner with NCEA to support Catholic schools nationwide, especially during National Catholic Schools Week. Our Lady of Good Counsel has our own designated giving page for this day. This is an opportunity to give a monetary donation that will assist in supporting the updates needed to ensure that our school moves successfully into the future! Our goal for this year's Day of Giving is $20,000. OLGC will be holding an Eagles Pep Rally tomorrow, January 19th at 1:45 PM in the Gym. Students will be permitted to dress down in their Eagles attire and/or green attire ONLY. The cost for this Dress Down Day is $2.00 or a donation of your choice. 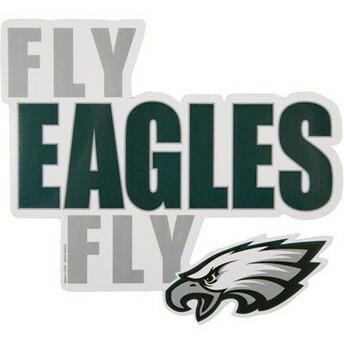 All monies raised will go directly to one of the charities supported by the Philadelphia Eagles- the Eagles Eye Mobile. The Eagles Eye Mobile travels to a different school each day to make free comprehensive vision care accessible to underinsured and uninsured children in the Greater Philadelphia area. Please help us support this worthy cause & cheer on the home team at the same time! The Bucks County Courier Times will be joining us for this event & we are also going to submit videos to 6 ABC, NBC 10 & Fox 29. Please also remember to check our Facebook page for tons of photos & videos of our Pep Rally! Mother/Son Bowling Event - THIS SATURDAY!! REGISTRATION IS NOW CLOSED, BUT WALK-UPS ARE WELCOME TO PAY AT THE DOOR. 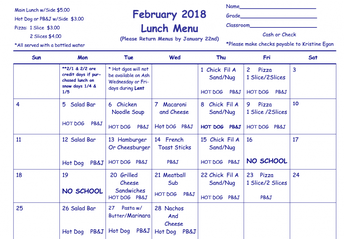 Here is the Lunch Menu for February. Please make your selections then send your payment & menus into school by January 22nd. 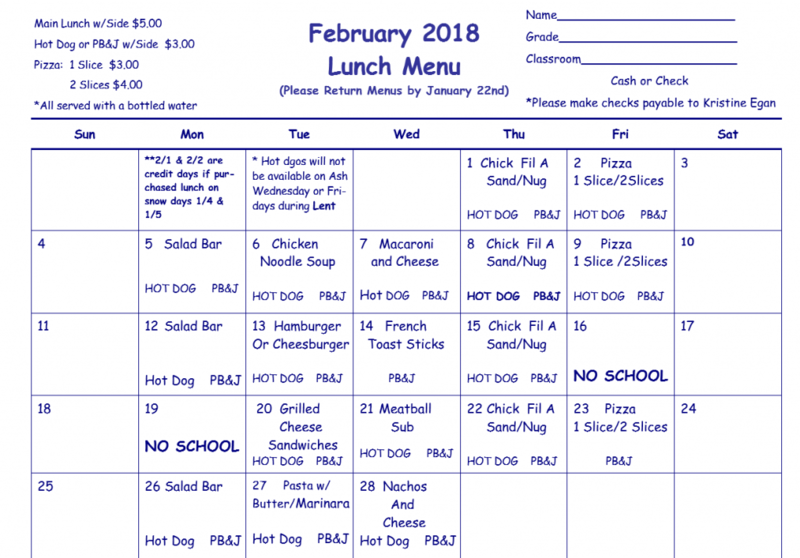 Click HERE for a printable February 2018 Lunch Menu. 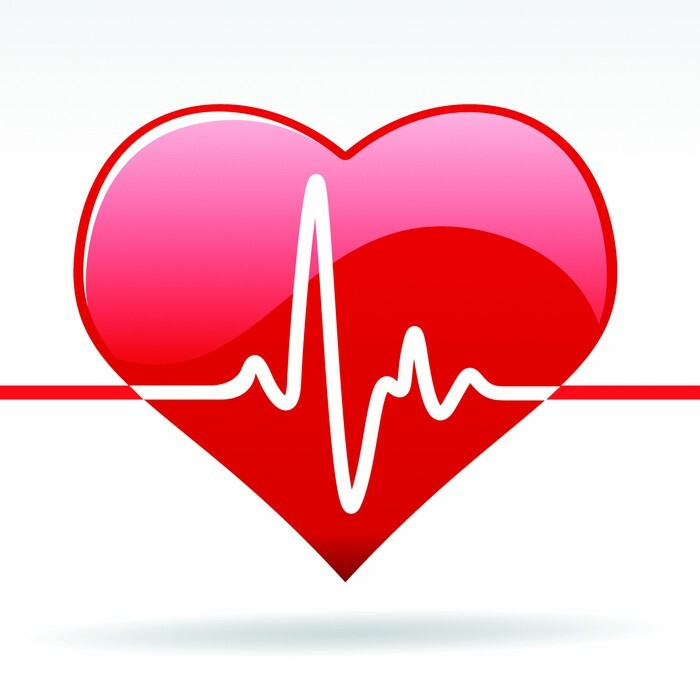 Click HERE to sign-up to be a February Lunch Volunteer. 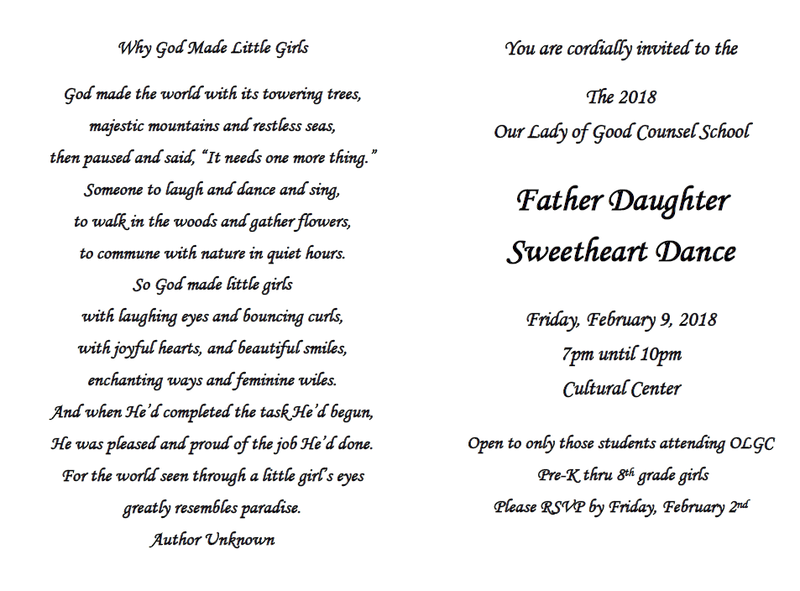 OLGC's 2018 Sweetheart Dance will take place on Friday, February 9th from 7:00 PM to 10:00 PM. 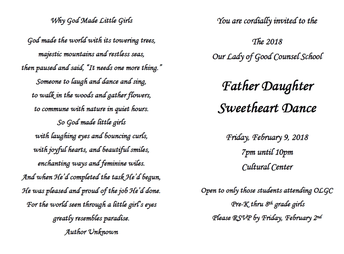 The Dance is only open to those students, Pre-K through 8th, who attend OLGC. Please fill out the form accordingly & send it in along with a check as soon as possible. Tickets WILL NOT be sold at the door the night of the dance. Click HERE for a printable invitation & ticket form. 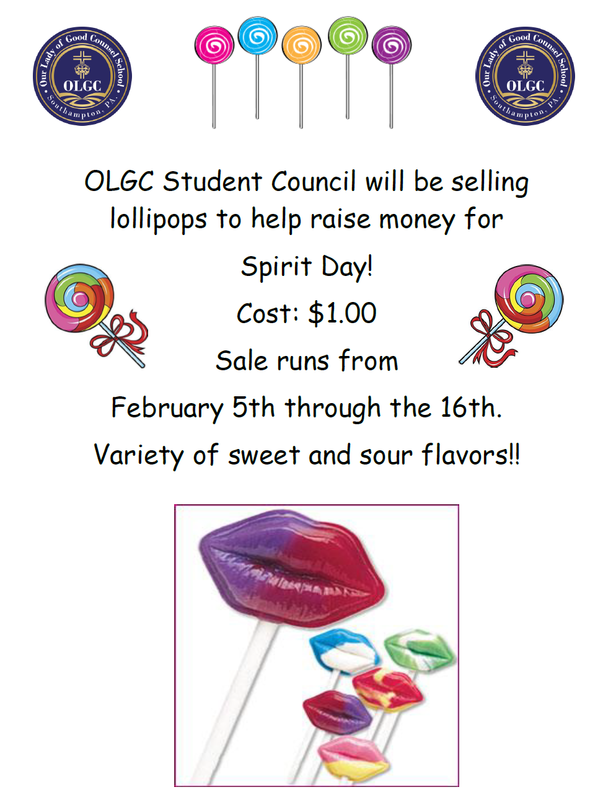 OLGC Student Council will be selling lollipops to help raise money for Spirit Day! The cost of each pop is $1.00. The sale runs from February 5th through February 16th. 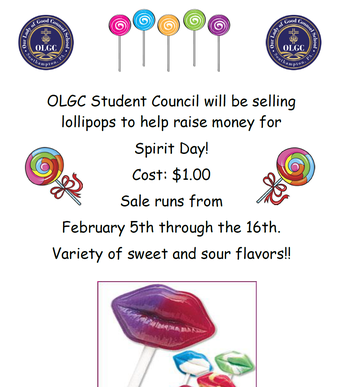 There will be a variety of sweet & sour flavors so bring in your dollars! 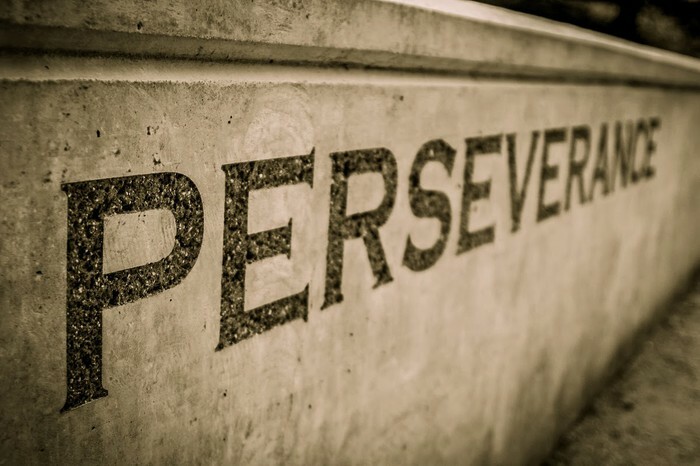 The virtue for the month of January is perseverance. Perseverance pushes you to work through challenges. Having perseverance means when you are facing a challenge, you use your mind and body to overcome it. Perseverance means you are able to wait and work through difficulties even when you want to quit. If you see someone displaying the virtue of perseverance, fill out a virtue slip for them. The winners will be announced at our next Community Homeroom. 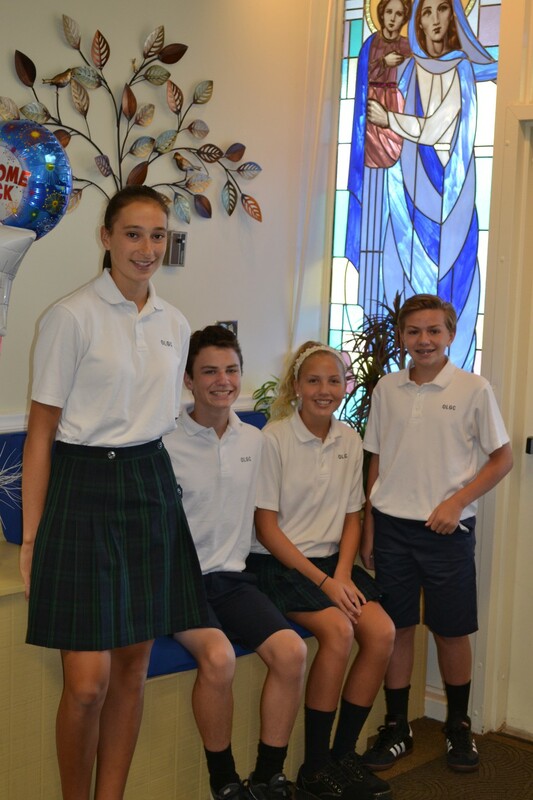 Our Student Council Executive Officers continually organize school-wide service projects each month to demonstrate the Christian Service of OLGC students. 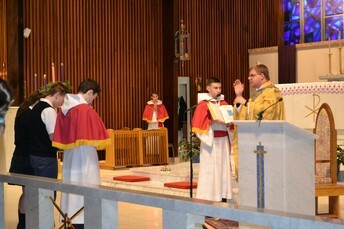 Our Student Altar Servers & Lectors serve at daily & school-wide Masses each week to show their unending faith to the Lord. 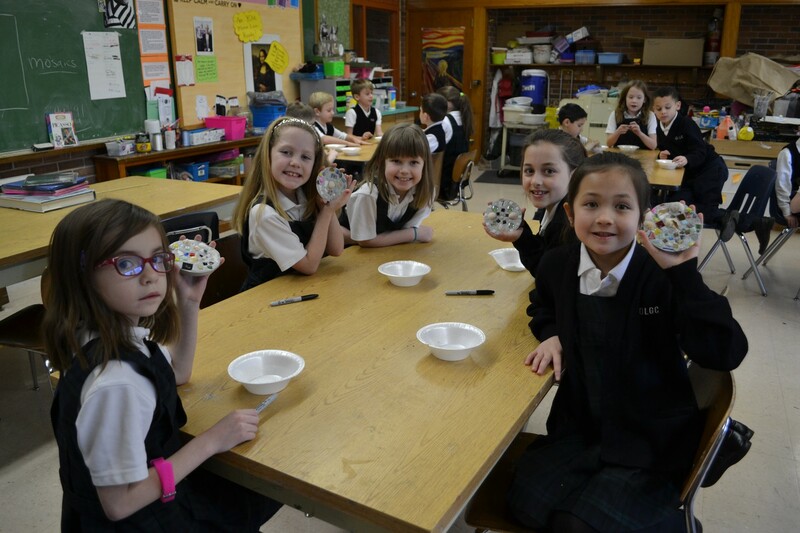 Our 2nd Grade made & unveiled mosaics this week in their Fine Arts class, one of our 4 co-curricular classes offered to each grade.